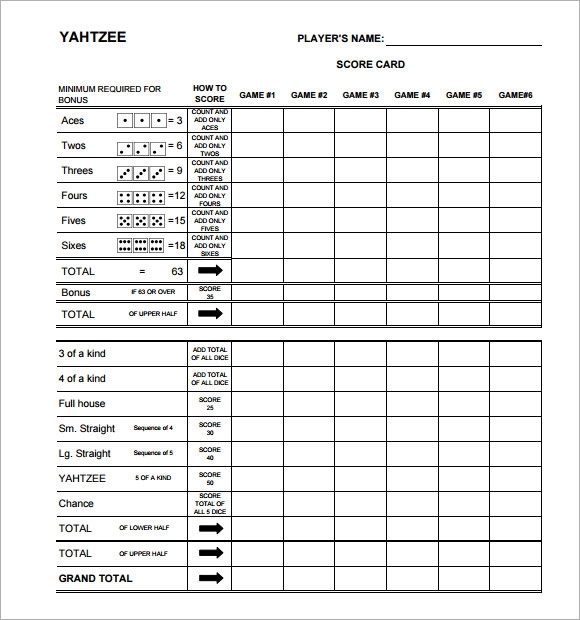 Yahtzee has become a sensational card game for every kid, friends or families; it is simple and fun to play as you only need four dice and a scoreboard to record all the scores to know who are the losers and winners of the game. 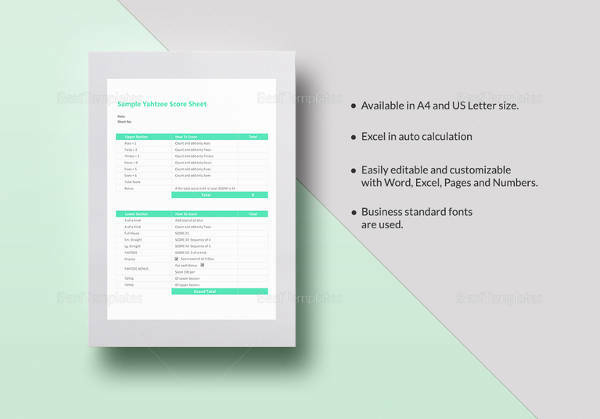 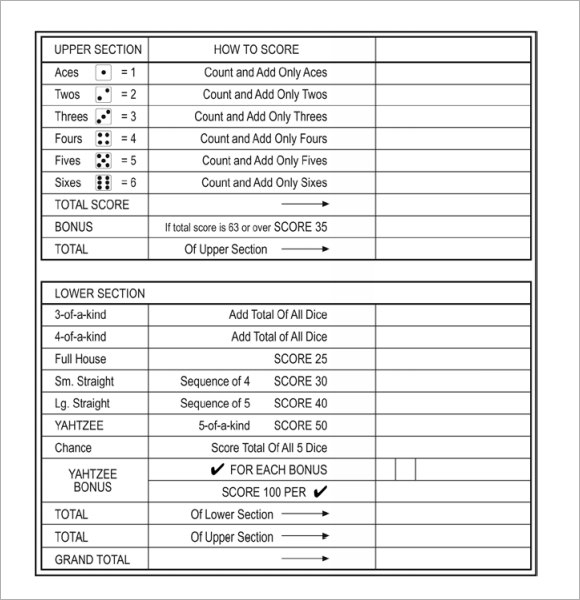 Using a score card template thru a Microsoft application, you can create a score sheet for every game; it will not just save effort for buying new score sheet but also money. 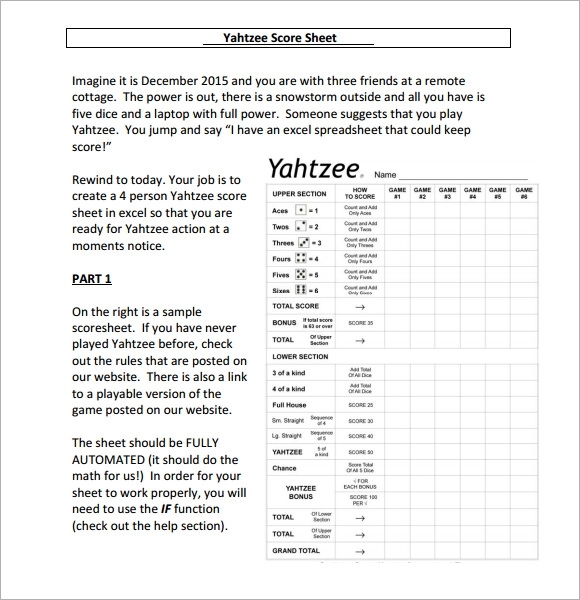 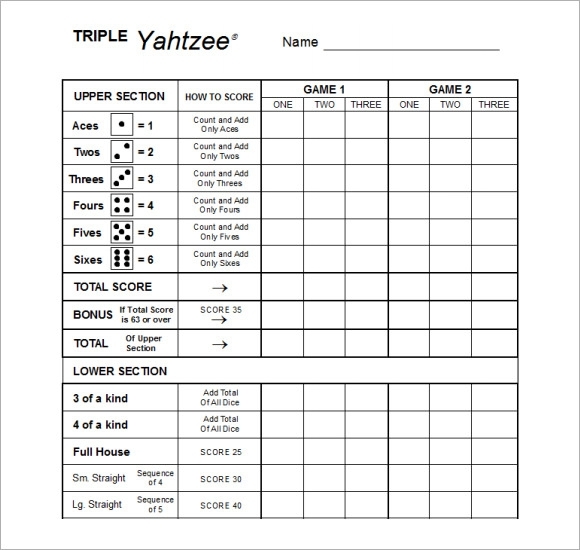 Formats and layout of this score sheet should be based on the original score card in playing Yahtzee so players are familiar in the scoring of the game. 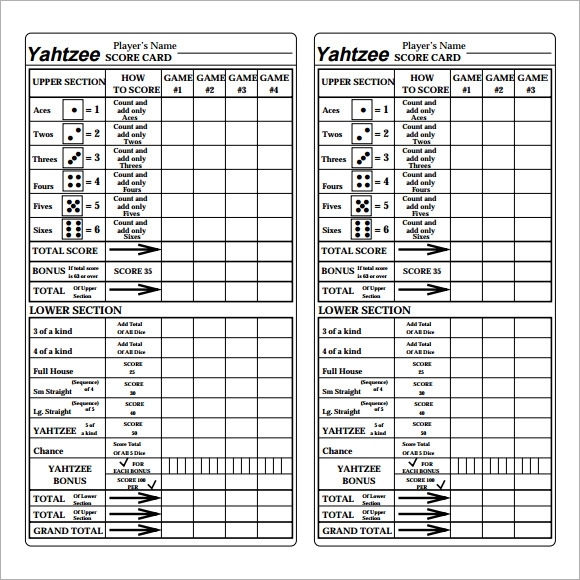 Fanatics of Yahtzee can make the score sheet more alive by using famous icons as background character using this template.